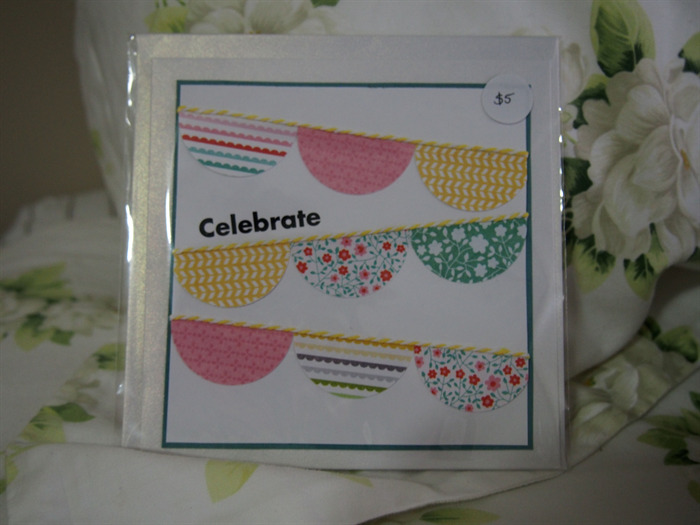 This Birthday Card features three circle bunting rows in bright colours and is finished off with the word Celebrate. This is a large square card which is made out of Kraft card stock. The inside is blank ready for your message. All cards come with their own co-ordinating envelope and are packaged in a cellophane bag before being posted in a sturdy envelope for protection during shipping.